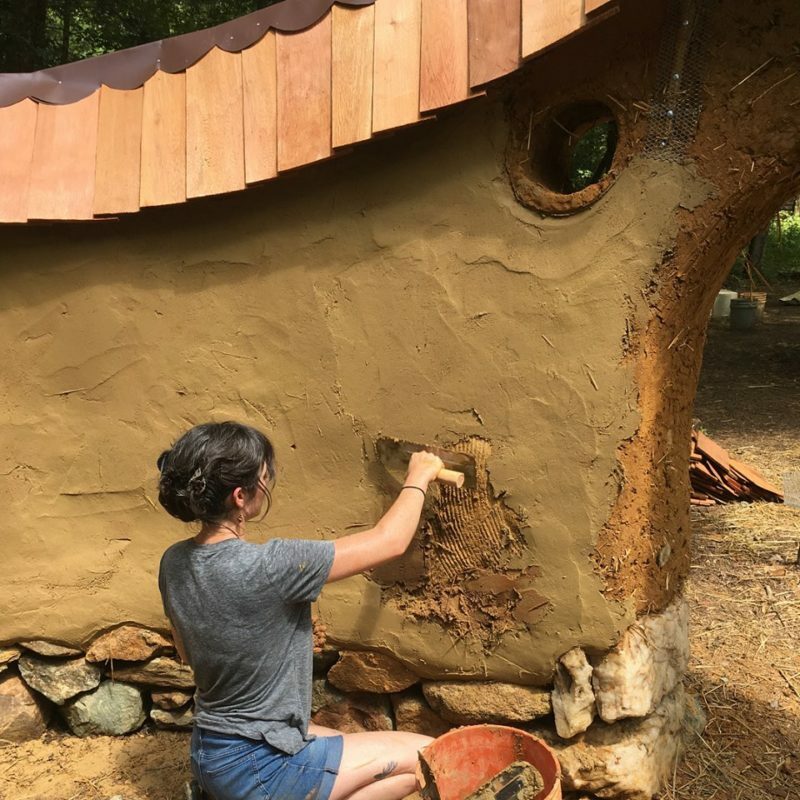 Join us as we add onto one of our strawbales cottages in the woods! 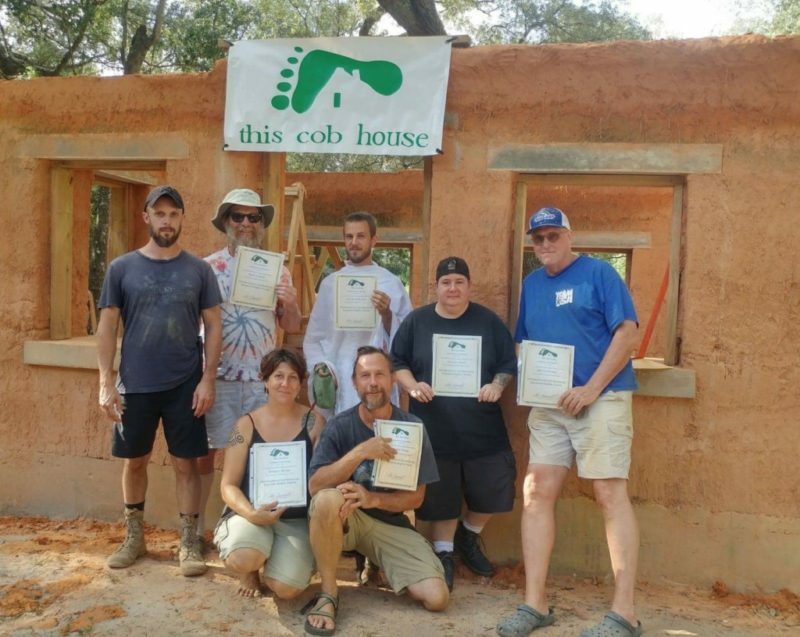 We will be extending the footprint of the building with a strawbale-insulated bedroom, as well as a slip-straw insulated bathroom. Earthen and lime plastering work can be done on both of those wall systems during the week. 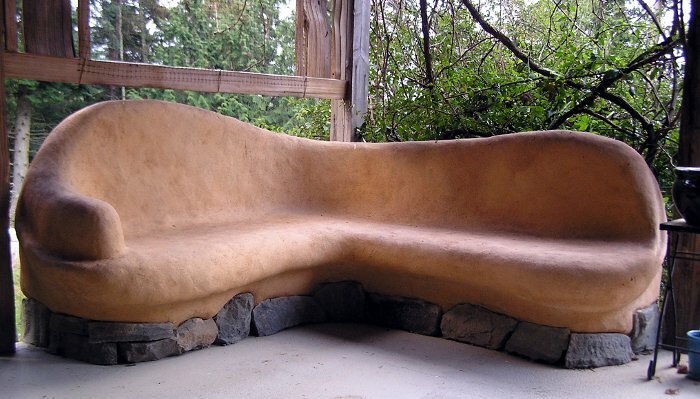 We will additionally spend 2 hands-on days with cob wall systems, and some time installing a living roof. Our workshops are very hands-on! Expect to be building on site for about 7 hours each day. This is supplemented with discussion, presentations, and a home tour of some local natural homes. 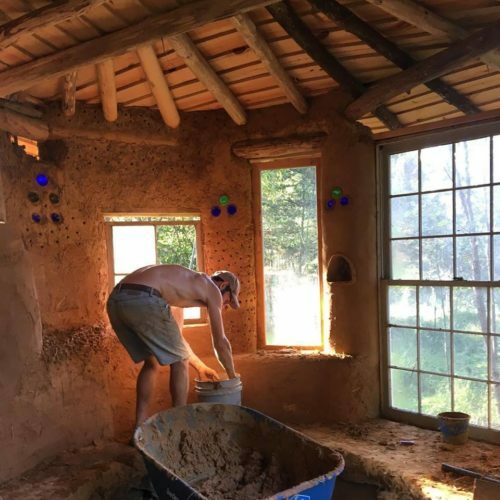 – mixed-media homes: how to combine cob, strawbale, earthen floors, etc..
We will enjoy three home-cooked meals each day, focusing on healthy and real foods (and local, where possible!). Two of these meals will be pizza nights at our cob oven! Evenings are generally unscheduled, but usually include campfires and relaxing. Most participants stay on site, in tents or in our rental cabins ($10/night). There are composting toilets, hot showers, and a pond to swim in. Drinking water is readily available, as is electricity. We are located in Snow Camp, NC ; the closest town is Saxapahaw, which is about 10 minutes away, and has wifi, a coffee shop, a bar, and a general store.